The experience of having a baby is an emotional roller coaster ride. From the excitement when you first found out that you are expecting a baby, to the creeping thoughts of what will happen to your body during and after the pregnancy, it is a journey filled with intense trepidation. My answer is, if you want your muscles to recover quickly after pregnancy, you’ll have to use them and strengthen them (wisely of course!) throughout your pregnancy. The benefits are manifold: you can avoid stretch marks, cellulite, loose skin, improve your posture, and reduce body aches just by following a sensible exercise program. If you keep active during your pregnancy, muscle memory will help you to get back to your pre-pregnancy weight quicker. If you’re not physically active before you got pregnant, you should talk to your doctor before you start. If you always have been active, continue to stay active! Exercise elevates your endorphin levels, which will make you feel better and happier as your body adjusts to new changes. You will have more energy, and less pregnancy-related symptoms such as swelling, back pain, constipation, urinary incontinence, and varicose veins. Your postpartum recovery will be quicker, and getting back to regular exercise will be easier. However, you should note that there is no one-fits-all exercise plan for pregnant women. Training with a professional who is certified in pre and post-natal exercise programing is essential. Have an exercise routine and try to stick to it, it will be better for you and your baby. At every trimester, the way your body reacts to exercise will change, so it is important to adapt to those changes by modifying the intensity and the exercises. After your second trimester, avoid staying too long on your back when exercising. Drink 1 cup of water every 15 minutes of exercise to keep you from overheating and dehydrating. Remember to exhale on the efforts of each exercise to keep the oxygen flow to your baby. Avoid all contact sports completely! After pregnancy, the uterus shrinks approximately one centimetre every day. In 5 to 6 weeks, it should go back to pre-pregnancy size. At this time, it is important for the new mom to start strengthening the inner core muscles. Getting rid of that mommy’s pooch, unless you do deep inner-core concentrated exercises, will be a tough challenge. Getting back to regular exercises should be done slowly and only after the doctor’s permission. You should start with basic core strengthening exercises, working the pelvic floor, and focusing on your posture, balance, and stretching. The author Tsvety (left) is a mother of a toddler, and a strength training coach at UFIT. For many women who has just given birth, abdominal separation (Diastasis Recti) is a common concern. Avoid crunches and twisting moves. Your post-natal trained fitness coach will be able to prescribe a series of exercises to effectively activate your core muscles correctly, to help bring your abdominal muscles back to normal. 60% to 80% of women injure their nerve endings when giving birth, which damages the pelvic floor muscles and affects the ability to control the bladder. Pelvic floor exercises such as pelvic tilts can help to alleviate the condition, as well as helping to relieve back pains. You should also consider Pilates practice as a highly effective form of exercise to strengthen the deep core and pelvic muscles to to reduce the risk of post-pregnancy issues. Exercising after birth can also decrease the incidence of post-partum depression. Getting fitness into your daily routine is one of the the best mood stabilizers for new mums. Finding a little bit of me-time in your busy day is important. You can’t take good care of your family if you don’t take good care of yourself first. *To learn more about pregnancy related health and wellness issues, check out UFIT Clinic's 4-week Pre-Natal Program where our team of women's health experts including physiotherapists, massage therapists, pilates instructors, and personal trainers teach expectant mums how to stay happy and healthy during pregnancy. Tsvetelina Ivanova is a Personal Trainer at UFIT, and a mum of a 2-year-old toddler. Specializing in strength training, plyometrics and metabolic conditioning, Tsvety has a keen interest in improving mobility, functional training, and Olympic lifting. You train intensively at home. When on holiday, do you still feel the need to stick to your regular workout program for fear of losing your hard-earned fitness? To paraphrase a brilliant American strength coach Marty Gallacher – if you are working out 5 to 6 days a week and eating well when at home, then a holiday should be exactly that, a HOLIDAY. With the appropriate rest, recovery, stress reduction, and a ‘few’ additional calories, a well deserved break from your daily routine will have a profound impact on your energy levels and result in improved energy and focus when you return to training after your break. More often than not, your body would benefit more from a period of rest and recovery, not another weekend of intensive training. This is based on observations from my own experience of training my clients, who often train intensively week after week without a break. For these individuals I would advise 2 to 3 days of recovery without any strenuous physical workouts when you are on a holiday. Obviously moderation is the key. Giving yourself a treat versus going on a massive binge and ruin weeks of hard work are two different things. For most of us, we can still benefit from some light training and stay active as much as we can while on a holiday. Here are some tips on how to keep in shape on the road. Skipping Rope Lightweight, and requires only a small space for a great cardio workout. Also can be used for shoulder mobility and stretching. Absolutely essential. Resistance Band Lightweight, space-saving and can add resistance to your bodyweight workouts such as squats and overhead press, working the muscles on your back and lower body. 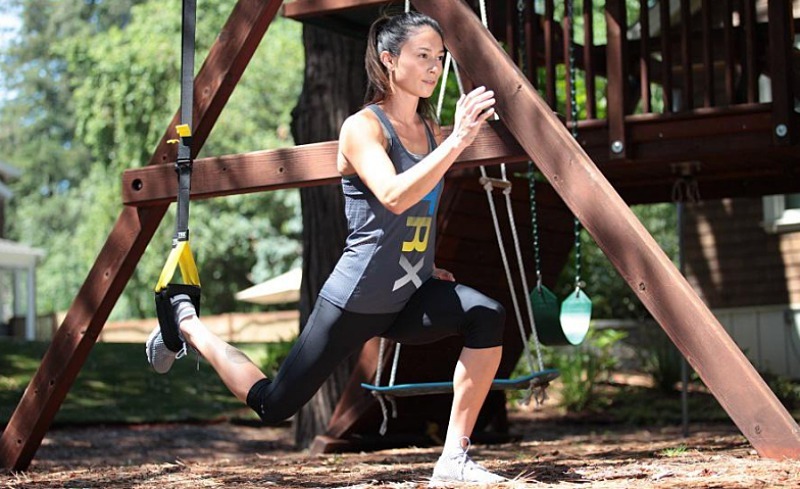 TRX I think the TRX is massively underrated as a ‘travel-training’ tool. It’s lightweight and compact which makes it great for packing, easy to set up, and offers a huge variety of full body exercise options anywhere on the road. 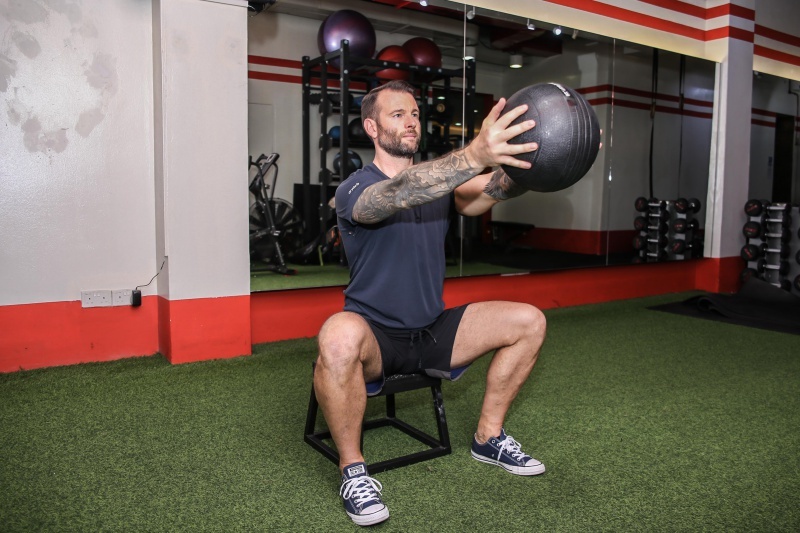 Massage Ball A great tool before the start of every training session, the ball is great for myofascial release, loosing the knots on your feet, calves, glutes and rotator cuffs. Foam Roller Another great tool for myofascial release of the larger muscle groups. Although I would consider this to be essential in sessions at the gym, its size usually does not make it practical for travelling. (Although, there are some travel versions now available which are smaller and easier to pack). Have a look what natural locations you have around you for training. If you are heading to a holiday destination which is close to mountains, hills or beaches, these locations offer great variations to your training and are also free. With the basic training kit mentioned above, and access to an awesome natural view, it is the best place to train, and is completely free! *Trainer Tip: I am always reminding clients and friends about a training option available to almost everyone whether you are travelling or at home - STAIRS. Every hotel or apartment block has them ranging from 4 to 44 floors! In my experience, 10 floors is a decent challenge before you start to really feel it in your legs. Doing laps on the stairs is a great option to end every session. You can start with 2 flights of stairs, and progress by adding 1 or 2 floors every round. Return to the first floor in the lift, or run down the stairs for some serious legs DOMS (delayed onset muscle fatigue) the next day! Search online, ask your local friends, or walk around and explore to find restaurants that serve food that are similar to what you would normally eat at home. It is always advisable not to stray ‘too far’ from your normal eating habits while away. Of course, holiday time is the best time to relax about eating and do as you feel. No need to stress out about nutritional choices and decisions, eat what you fancy. But there are good and bad choices to be had at every meal and drink, and there needs to be an element of self-control to avoid unnecessary excesses. Whether you’re training or not training while on holiday, eat real, whole, natural foods is a good rule of thumb, and generally avoid the things you would normally avoid, without being over restrictive. If training alone and outdoors doesn’t suit you, the next option is to find local training operators that can cater to your training goals. In many holiday destinations, you should be able to find local yoga studios, fitness gyms, CrossFit boxes, or outdoor bootcamp sessions. Aside from getting a good workout in with new trainers and training buddies, it is also a great way to make new friends and get expert local tips! Nathan Williams is a Personal Trainer at UFIT Orchard. Originally from Wales, Nathan spent the last 12 years as a fitness coach in Cyprus, New York, Dubai, Bahrain, and Singapore, working with elite athletes and regular folks to transform their lives through fitness. Nathan specialises in Strength, Bodyweight and Kettlebell training. Having worked exclusively with older clients and golfers in the Middle East prior to coming to Asia, he has a keen interest in corrective strategies and mobility work for everyday workers, ex-athletes and anyone looking to continue their physical training whilst staying pain-free for the rest of their lives. 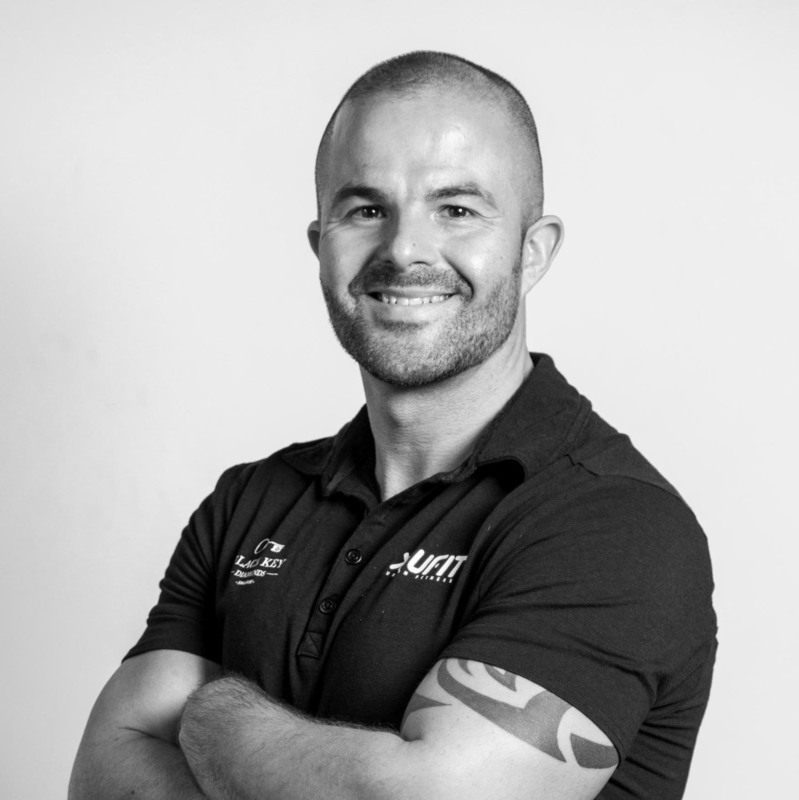 Nathan is one of UFIT's most experienced personal training and bootcamp coach.